In collaboration with the Kigali Public Library and the newly inaugurated Rwanda Library services, the Rwinkwavu Community Library and Learning Center (RCLLC) promoted the National Reading Week in the Kayonza District. Open only since since July, the RCLLC is already positively impacting the district’s reading culture. During the week, the library promoted and hosted several activities aimed at raising the community’s awareness of the importance of literacy and improving thereading culture. Using its beautiful facility, and intelligent and passionate library staff, the RCLLC hosted an extremely successful National Reading Week. Over 115 community members from Rwinkwavu participated in the week’s events. Community discussions were conducted about the importance of story-telling and leisure reading from a young age, and how literacy can transform access to knowledge for the betterment of oneself, the community, and the entire nation. 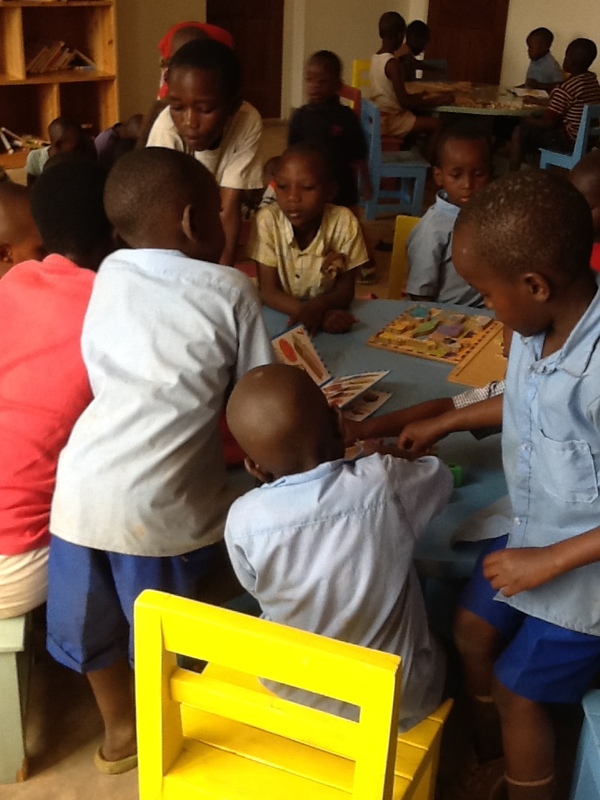 Children were led by staff in hourly read-alouds and sensitized to the importance not only of being able to read, but of being able to express oneself through writing. 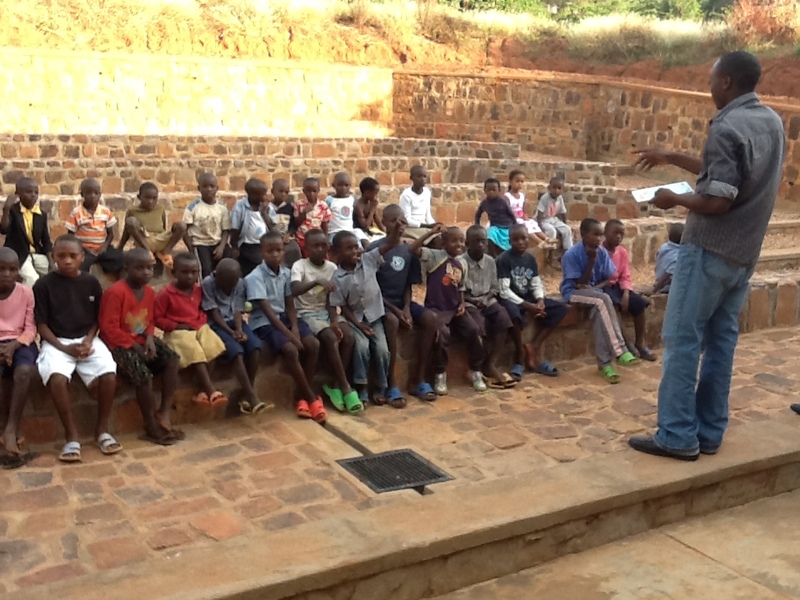 The children were then invited to share their own oral stories on stage at the outdoor ampitheatre. Then, each attendee was given their own ‘home-made’ books and had the opportunity to create their own story-books. Also during National Reading Week, the library staff attended community meetings in each of the district’s four cells to sensitize the community to the function and benefits of the RCLLC, and to invite any and all to take advantage of this new and exciting community resource. Additionally, the library staff invited illiterate adults in the community to sign up for the Adult Kinyarwanda Literacy Program and over 100 enrolled. 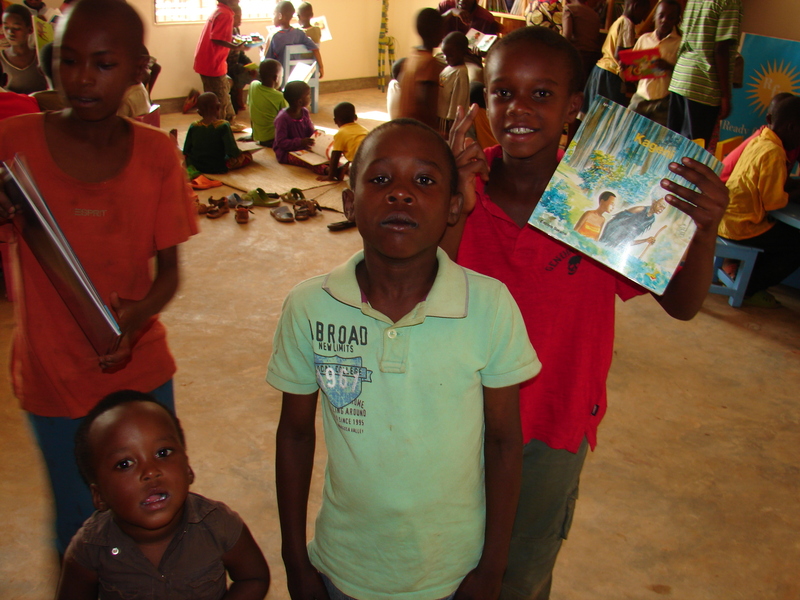 The sky’s the limit for literacy in the Rwinkwavu community. In the future, the library will also offer English language classes, ICT training, and music education. 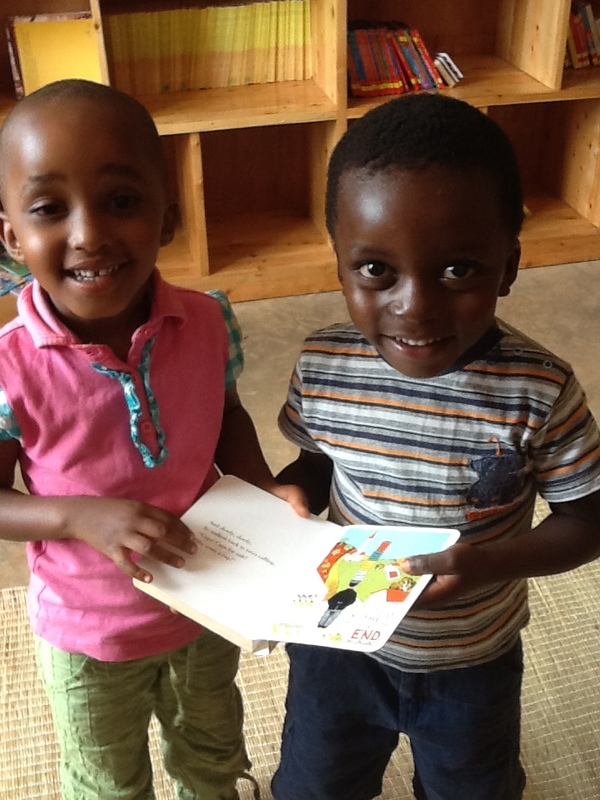 Along with the day-to-day energy and excitement that persists in this rural library, these initiatives are sure to support the Rwanda Library Services mission in spreading literacy and a love for reading and knowledge across the country.